Abdulrahman Khansaheb is the Director of Khansaheb Civil Engineering, a family owned business established in 1935--now the longest standing contractor in the United Arab Emirates (UAE) specializing in construction, roads and infrastructure, interiors, architecture, structural metal, building and property services, facilities management, and waste water management. Abdulrahman is responsible for providing oversight of the daily operations, business strategy and development of the company. Abdulrahman has a Master of Science degree in Project and Enterprise Management from the University College of London; he earned his Bachelor of Engineering (B.Eng) in Civil Engineering from American University of Beirut. A member of the American Society of Engineers (ASE) and the American Society of Civil Engineers (ASCE,) Abdulrahman attributes his success to his family's legacy in the business, but also to his own drive to succeed and passion for the profession. 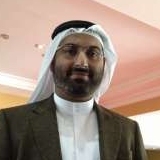 Abdulrahman's professional goals include continued education and driving continual growth for the business. In his free time, he enjoys sailing, diving, and reading.